It's a rare occurrence these days that I leave home without my camera, but when I do you can guarantee that something awesome will appear. Two weeks ago it was a hunting Short Eared Owl along the banks of the Loughor whilst last weekend I was treated to more Masked Crabs than I have ever seen before. Our crustacean encounter took place at Port Eynon on Gower where a very low tide had exposed far more of the beach than usual. 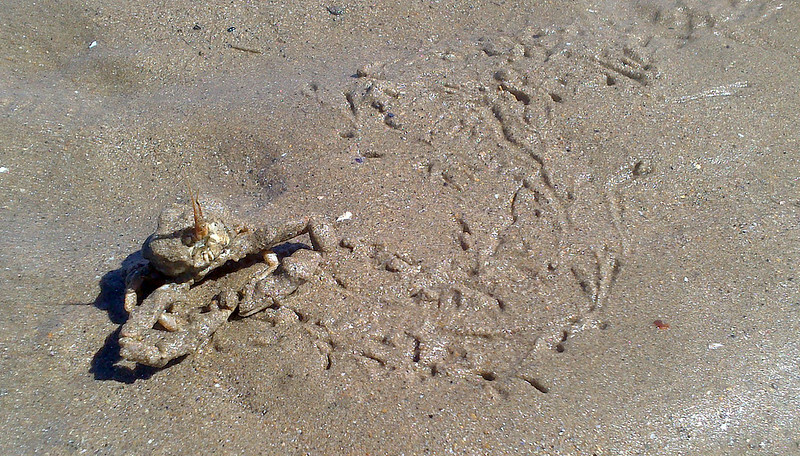 In the damp sand we spotted at least twenty of these curious looking crabs emerging and had to resort to a camera phone to record them for posterity. Unlike most crabs that walk sideways and often dash for cover, the Masked Crab instead burrows backwards into the sand to hide. From there it breaths through two specially adapted antennae which have evolved into a tube that can be left exposed to open water. A remarkable evolutionary step that we witnessed being put to good use when a couple of the crabs decided that instead of standing their ground they would head beneath our feet. In a matter of seconds their bodies were completely submerged with just the very tip of that breathing tube visible. We certainly reconsidered walking barefoot after that. 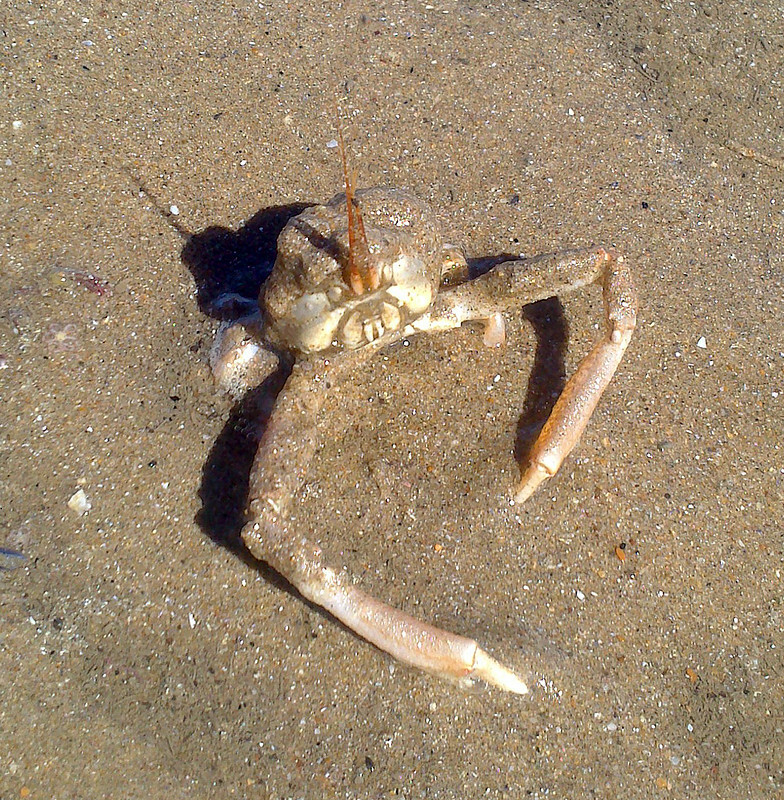 Strange looking crab! There no end to what you can do with a hard shell! I was surprised to find out that we share a cormorant species with the UK.